When most people move into a new home, there is some changes that they want to make. The rules of interior design are especially powerful when it comes to the ladies of the house who can walk through any home and easily spot furniture that needs to be moved and cabinets that need refacing. The entire idea behind interior design is to make the home that you have purchased your own. It stands to reason because you are living in a home that was built by someone else and their style may not be yours. Interior design and home improvement is the way to go. Most people consider home improvement to be a daunting task, which it can be if you go to extremes. Those who attempt to completely renovate their entire home at once are faced with a multitude of problems that are associated with having to move furniture and other items out of the way so the interior design process can take place. For others, it is easier to do a little bit at a time to make sure that each project gets completed with the minimum of hassle and interruption to daily life. One of the easiest things to start with when it comes to interior design and home improvement is cabinet refacing. Cabinets that you are going to reface will not interrupt the day to day activities as other type projects can and will when doing home improvement. To reface cabinets it is best to start with the doors as they simple to remove and take to a workshop or basement. When you reface you are basically just changing the tone of the wood that is used for design of the cabinets. 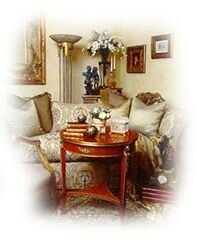 This is done most times because the color or tone does not fit with the new furniture that has been purchased. This is a common practice among existing home buyers who want to create their own personal style. Cabinet refacing also entails changing the front face plate of the cabinets to match the doors that have been changed. This is another common practice but it can be quite difficult. It is best to hire a professional when you are planning on refacing any type of cabinets as the skills required to do so do take a long time to learn. There are several books on the subject floating around but they tend to only give the base knowledge that is necessary and do not give the complete picture for dealing with all the different types of problems that you could run into. Furniture is another big issue when it comes to interior design. When moving into a new home many people like to get new furniture but they cannot always afford the new stuff as prices seem to go up every year. The best course of action is to try and buy the new items piece by piece instead of all at the same time. This will actually save you money in the long run as you can get a better deal as the pieces that you want go on sale over the time that you are purchasing them. There are plenty of furniture dealers around the world and all you need to do is search through them instead of dealing with only one place. There is a matter of finding all the best for the best prices and that is not hard when you take and do a little research on the subject. If you are planning on doing any painting as part of your home improvement project then it is best to do so before you have moved in. This will save you a lot of hassle as it is hard to find a place to put everything when the house is full of furniture and other items. Paint does not take a long time to dry so it should not hold up the moving in process for very long. The best course of action is to go with the higher quality of pain. The better the quality the better coverage you get when you are painting in the darker colors. If you are painting before you move in then you have the option of using a paint sprayer with a lot more ease. This will cut your painting time in half and will save you money in the long run as you use about half as much paint as you do with the brush and roller method. Don’t forget to check all the walls for holes before you start any projects. It is easier to reface a wall when there is nothing else going on. You will need to read up on wall refacing before tackling it to make sure that it is done properly. If not then you may end up with a not so nice looking wall that is full of dimples and holes and other unsightly blemishes. Hiring a professional is the best way to go when you have something that needs done with the walls. A professional drywall contractor can easily repair all the problems in less than a day and most likely for a fraction of the cost that you would pay if you tried to do it yourself and messed it up. Interior design is a fun and exciting time for a lot of people but it can also make for a lot of stress and cost if you are not careful. Before tackling any home improvement project you should first make sure that you have the required skills and funds to complete the project. If you don’t then it is best to hire a professional. More than likely they will be able to save you money in the long run even though their fees sound like they are high. They do have the right to charge higher fees as they have spent years learning their trade. You will find that hiring a professional for your project will make the time a lot more enjoyable for you and your family.